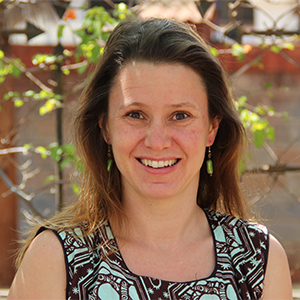 Caroline is the Country Director in Kenya. Prior to that she held different roles within Amani which included Marketing & Recruitment for the Fellowship Program as well as working as a Program Director. She was involved in various client engagements designing and delivering high impact programs for various clients. Her areas of expertise are around Leadership, Social Innovation & Entrepreneurship, Team Development, Design Thinking and Systems Thinking. From a very early age, Caroline had a passion for teaching and education, but it wasn’t until later that she knew she wanted to support both people and organizations in realizing their full potential. Her passion was awakened when she joined AIESEC, where she was the President of AIESEC Switzerland and also the Chair of the AIESEC Western Europe & North America region. After she completed her Bachelor’s in Business Administration and Political Science at the University of Berne, she worked as a Graduate Program Manager for a large Reinsurance company, where she was responsible for managing all aspects of the program. Looking for more meaning and impact in her career she later moved to Kenya, where she first taught entrepreneurship skills to unemployed youth in informal settlements. She then joined Sanergy, where she developed their leadership development program, before joining Amani Institute.